The Cloud Migration Guide – Part 3: Is your business ready for cloud? There are very few businesses who would see no benefit from deploying cloud. In fact, it’s expected in the next few years for the clear majority of businesses to be using cloud services. With a considerable proportion of them having a 100% cloud-based environment. However, like all projects, there’s a best time to undertake a migration. There are four main factors determining if your business is ready for a cloud migration. These are the internet connection, business size and company growth goals. How much they influence the readiness of a business is roughly in the order they appear. Cloud is reliant on the Internet or a leased private network connection (we’ll just refer to it as an Internet connection for simplicity). If your internet connection fails, then whatever is being stored or hosted on a cloud platform will become inaccessible until the connection is restored. Therefore, you should only consider a cloud migration if your current Internet connection can support the increased load it’ll bear. If you’re a large firm with an Internet connection which is good but already under heavy load, you should consider upgrading. The added burden of cloud traffic could cause your connection speed to slow down due to all available bandwidth being used up. As well as certifying you have a suitable Internet connection, you need to ensure your connection won’t have issues. Assuming leased Internet connections are immune to outages is a dangerous mistake. Leased lines go down. And when they do, they’ll typically be down for a long time. Installing a backup Internet connection with another provider to your main one is vital to ensure constant connectivity to your cloud. Ideally, it will also come into your building from a physically separate direction. If you don’t yet have two Internet connections, you can still undertake a migration. But getting a backup line should become a high priority. Generally, the smaller the businesses, the more suitable it is to migrate into the cloud and the readier it is. This is for two main reasons. Firstly, a large business needs to do more preparation before undertaking a migration. There are more workstations, more files, more hardware, complex applications and workloads which all need to be migrated. This needs precise planning and testing. A small business comparably may only have a single server, less than 50 workstations, a few applications and 2 or 3 terabytes of data between all their users. This can be migrated much easier and has a much lower cost and risk overhead associated with it. Secondly, the positive impact of cloud being a subscription is more pertinent for smaller businesses than bigger ones. Large firms may have the heavyweight IT teams already in place and can run their own private clouds within their own data centres, or at least manage them in others. And if the cloud platform charges per user, access to the cloud service can become expensive after factoring in several thousand users. For small and mid-sized businesses, the subscription specifically means they can gain access to all of the same applications and benefits that the big firms have but they don’t pay any of the associated costs. They simply reap the benefits of economies of scale without any over the complexities and overheads, including ongoing management and support. This doesn’t mean large businesses can’t gain benefits from the cloud. 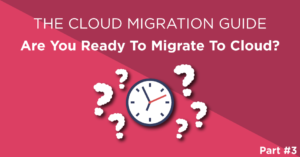 Large businesses can very easily reap great rewards from a cloud migration but it’s a much larger undertaking, in terms of planning and the migration process itself. The ROI timescales may also be longer. To achieve a goal of improved flexibility, you should consider hosted desktop or migrating servers over to cloud hosting. This gives you access to an enterprise-grade IT platform that you can scale up, down or out with ease. You can open a new office anywhere in the world or add a new employee with all their applications in minutes. 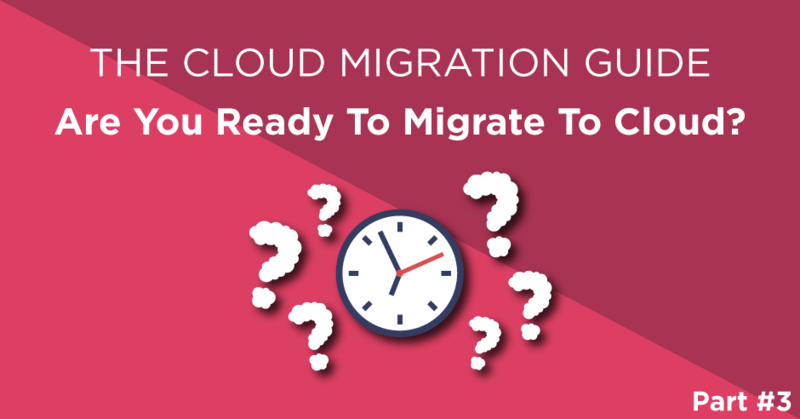 If you aim to save money with a cloud migration, any type of migration can help. But for a large impact, you should consider moving expensive-to-buy and run hardware and applications such as central servers (file, mail, web, backup, ERP, CRM) to a replica hosted in the cloud. This cuts down on the operating costs and can save money on the costs of buying, running supporting and managing the environment in your own business. To increase business productivity and boost efficiency, you might consider migrating from the standard Office suite to Office 365. It comes with a range of benefits for any business such as added functionality, security and greatly improved internal and external collaboration features that all promote better workflows and improved business processes. If you intend to improve the reliability of your business, Disaster Recovery as a Service (DRaaS) can help in that regard. You can have a full replica of your IT environment sitting in the cloud ready to go should disaster strike at a fraction of the historical costs. It’s important to understand that the cloud is not a golden chalice, nor the only way to run your IT infrastructure and systems. Too often businesses state that they have a strategic objective to move to the cloud. This is not a business objective, perhaps the business wants to prepare for expansion and needs greater flexibility and the current IT infrastructure is over three years old but not just moving to the cloud for the sake of moving to it. Typically, except for small businesses, the greatest business results can be gained from working in a hybrid environment. This is in effect a mix of cloud and on-premise solutions. It’s also important to note that a cloud migration is not a single leap. It’s a process where different applications and workloads are moved over one at a time. Rushing migrations for the sake of moving to the cloud can be disastrous. Links to parts 1, 2 and 4 are available below, but before you move on, don’t forget to Follow us @QuoStar or subscribe to our newsletter to be the first one notified about new releases along with access to free cloud migration resources, not available anywhere else!